I love seeing images of Butterflies and Orchids they are such a beautiful combination. and so I made some orchids using the Marianne Design Collectible Orchids die set. The butterflies are a rubber stamp from URBAN Stamps which I coloured with copics and cut them out by hand. 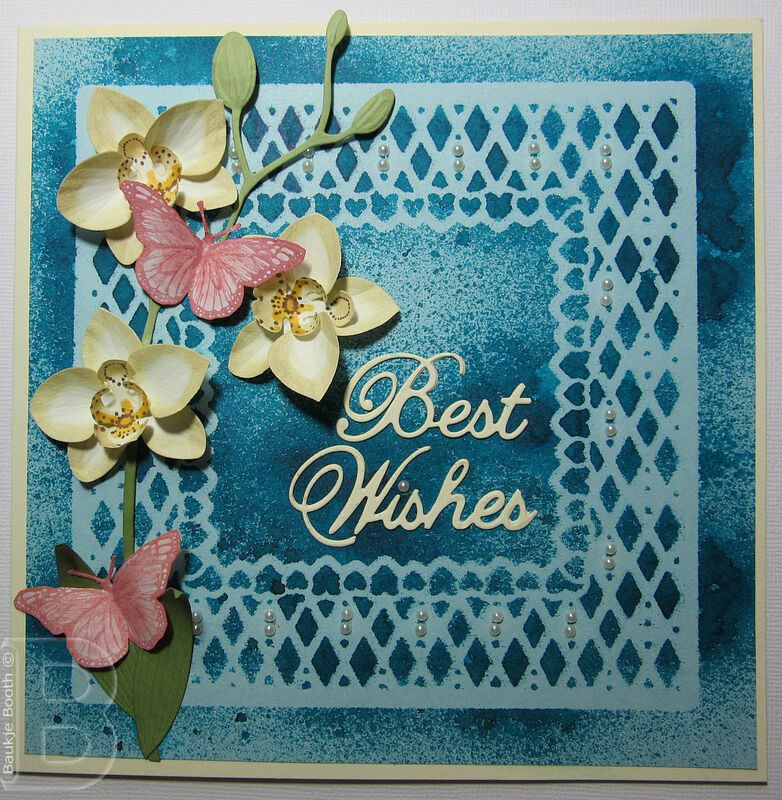 Also used was the Spellbinders Basic Lattice Die. Marianne Design Craftables Circle Die. Cheery Lynn Fanciful flourish and Sue Wilson Laurel Leaves. 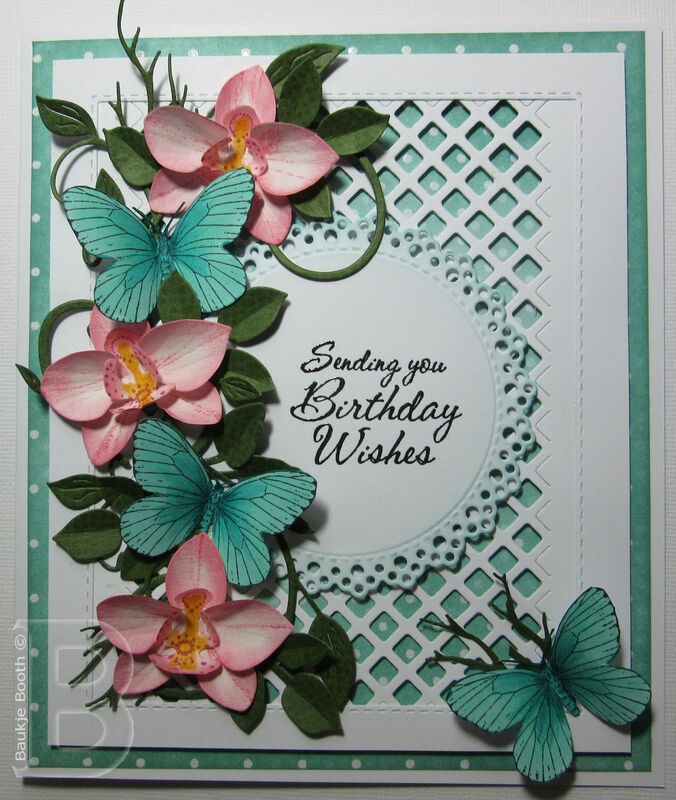 I created the background for this one using the Spellbinders Lovin' Diamonds die as a stencil and spritzing on some Dylusions Ink spray, Calypso Teal.